It's amazing how far computer games have progressed. But have you ever felt the urge to take a trip back in time and relive the games of the eighties and nineties? Well now you can! 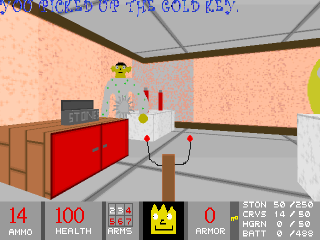 We have 770 DOS games in our archive that can be downloaded for free. These games are shareware, freeware, playable demos and full versions which are released as freeware or into the public domain. Our downloads don't contain any adware, malware, viruses or other unwanted software. Also follow DOS Games Archive on Facebook and Twitter.